Camp Lejeune, or “Home of Marine Expeditionary Forces in Readiness,” is located in near MCAS New River in North Carolina. The base is home to the 2nd Marine Expeditionary Force, 2nd Marine Division, 2nd Marine Logistics Group, as well as infantry and support units. There are also several schools located here for training. As you prepare to PCS to this area, you can expect to hear lots of noise from the range! When it comes to finding a place to live near Camp Lejeune, you have several options. Holly Ridge, Jacksonville, and Swansboro are all great options with some distance from base. Jacksonville offers many activities for you to choose from between attractions, dining, and shopping. But if you’re looking for a smaller town closer to base, you should consider Sneads Ferry. Living in Sneads Ferry is often less expensive, puts you close to the water, and provides a short commute onto base through the Sneads Ferry gate. The community is very small, nearly all military, and primarily residential. If want to shop beyond the local grocery store, CVS, or Dollar General, you’ll need to drive to Jacksonville. 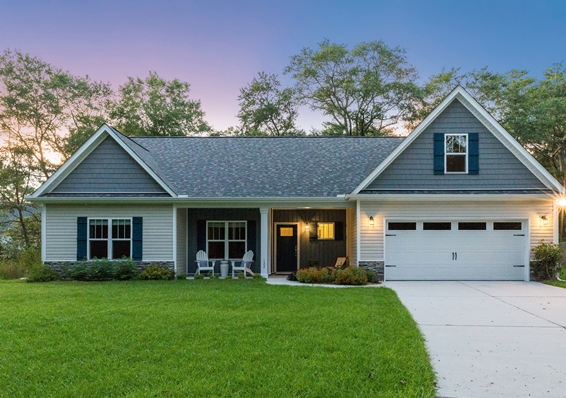 If a residential community close to base is what you’re looking for, start your Camp Lejeune househunt in Sneads Ferry! 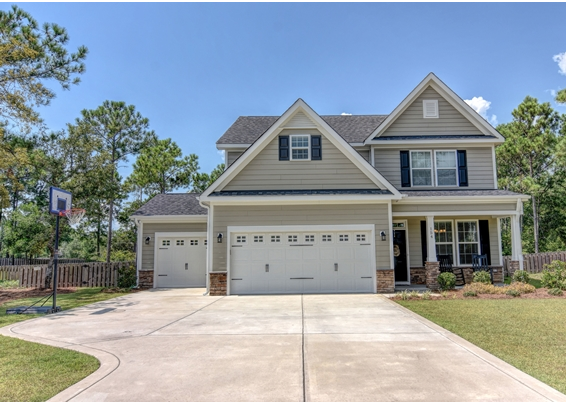 Take a tour of two beautiful homes for sale less than 10 miles from Camp Lejeune. 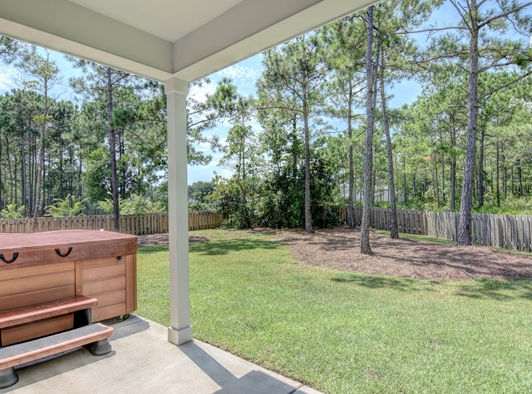 This beautiful move-in ready home is located on a half-acre in the Mimosa Bay community. The five bedrooms, fenced-in backyard, cul-de-sac, and proximity to the playground and pool make this home ideal for a growing family. 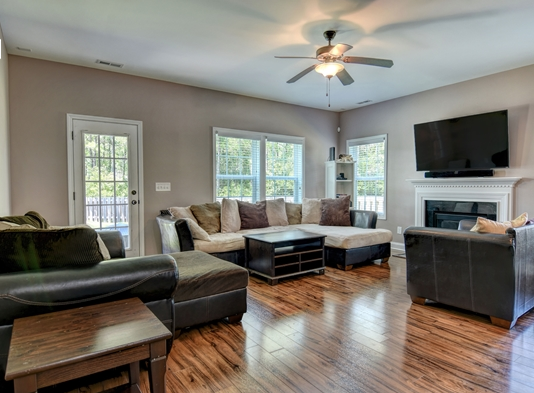 The house has an open floor plan with the master suite on the ground level. But the home's most impressive features are in the details. The nine-foot ceilings, beautiful kitchen counters and cabinets, the master suite separate shower and tub, huge master closet, hot tub, and storage shelving in the garage really make this home a great option in your househunt. Bonus: The 2x6 construction, 80-gallon water heater, radiant heat barrier, irrigation, and cement board siding make this property well insulated and energy efficient. This home is built to last and well worth the investment! This four-bedroom, three-bathroom home is situated in a cul-de-sac in the Chadwick Shores Neighborhood. 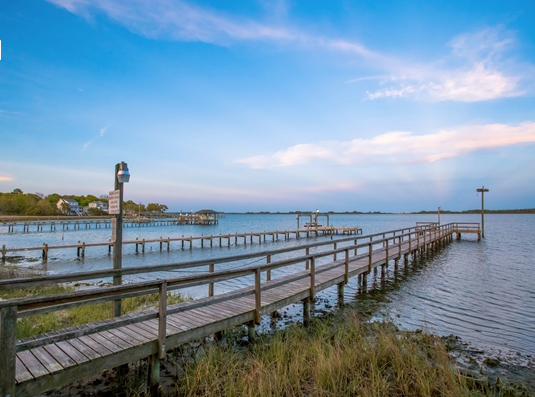 Its location gives residents a view of the water and access to a community dock. 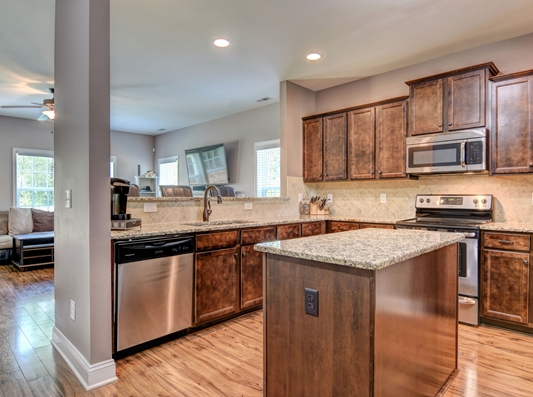 The kitchen, living room, and three bedrooms are located on the ground level. 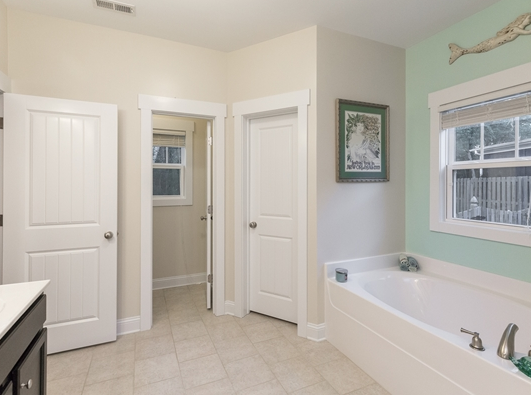 But upstairs, you’ll find a fourth bedroom or bonus room accompanied by a full bathroom. The space is great for a playroom, workspace, or guest bedroom. 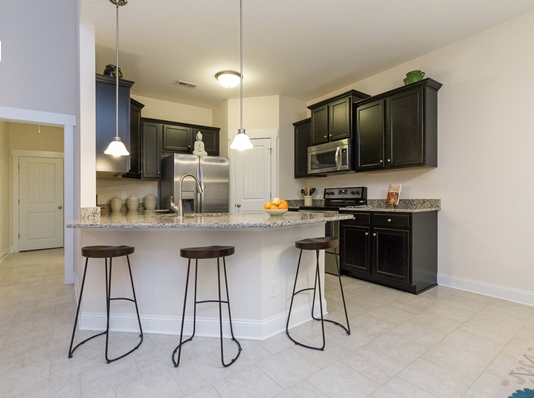 The interior features upgrades like granite countertops in the kitchen, stainless steel appliances, tile flooring, and ceiling fans. The exterior is fenced-in and beautifully landscaped, which makes this home great for families with children and pets. Bonus: The property features views of the water, but is not located in a flood zone! 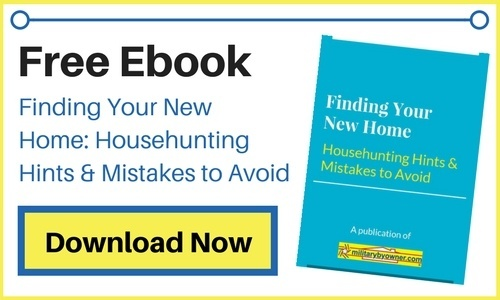 As you continue your househunt near Camp Lejeune, we hope you take some time to explore our site. For more homes in Sneads Ferry or other surrounding areas, visit the Camp Lejeune page and see what homes are listed for rent or sale.